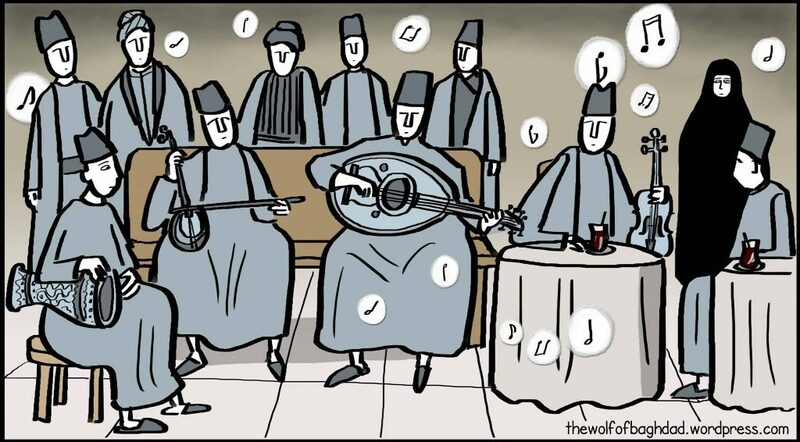 The Wolf of Baghdad is an audio-visual project combining a graphic memoir and music from the lost homeland of the Iraqi Jews. The Wolf of Baghdad is an audio-visual journey through a Jewish family’s memories of their lost Iraqi homeland. 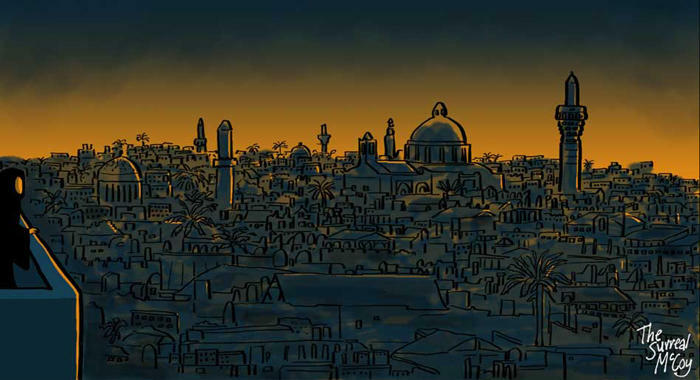 Projections of the graphic memoir will be accompanied by a live band playing the music of Iraq and its Jews, an ancient community that lived there for more than two millennia. Led by musician/artist Carol Isaacs AKA The Surreal McCoy & accompanied by the band 3yin. Following the screening with its accompanying performance from Judeo-Arabic band 3yin there will be a panel discussion from leading academic experts on the subjects of Iraq, its music and its Jewish communities legacy. The Wolf of Baghdad Author Carol Isaacs and 3yin band Leader Daniel Jonas will also be on the panel to discuss the creative process.